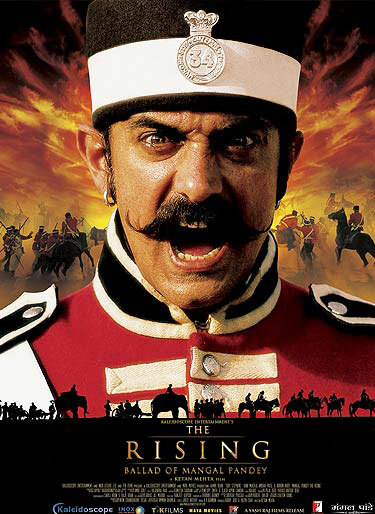 The Rising - Ballad of Mangal Pandey ( in English ) / Mangal Pandey - The Rising ( in Hindi ) - ***** ...........A movie with honest intentions and sincere work . The events leading to the "birth of the seed" of Indian freedom movement is depicted with a mix of fact and liberal doses of fiction . However the elements combine well as a whole. The movie does suffer from a certain lack of pace in the 1st half and also some of the characters are not fully developed . My personal favorite moment : Mangal taking on the British Army all alone . All in ALL a good HALLA BOL !!! Blog Day is here.......Finally !! !